"Argo" director opens up about turning 40 and balancing his career with his kids. From his "Good Will Hunting" days to his infamous time as one-half of Bennifer to his quiet family life with wife Jennifer Garner, we've always had a soft spot for Ben Affleck. The Academy Award-winning actor is currently working hard to cement his transition to esteemed Hollywood director with his latest film, "Argo," a political thriller based loosely on the true story of the rescue of six U.S. soldiers during the 1979 Iranian hostage crisis. Gracing the cover of The Hollywood Reporter this week, Ben sat down with the mag to discuss the good and the bad in Hollywood biz, and it turns out this world-famous face is just your average 40-year-old dad to his three children. "There are so many decisions to be made, and it's more than you can get to each day," he says of trying to balance work and family life. "There is this underlying anxiety not just about getting the movie done but getting it done really well. It keeps my head spinning--even when I am giving the kids a bath. I can be giving them a bath or feeding them, and sometimes they say, 'Dad, pay attention!'" He openly admits that his life is consumed by work and family, and he now chooses to spend his free time with Jen and their children--daughters Violet, 6, and Seraphina, 3, and 7-month-old son Samuel. "Kids eat up that kind of hobby time," he admits. "I used to ride motorcycles. I used to play basketball. And now basically I'm at home with them, or I work." Ben Affleck, Bryan Cranston and John Goodman discuss the Oscar buzz around their new film, "Argo." 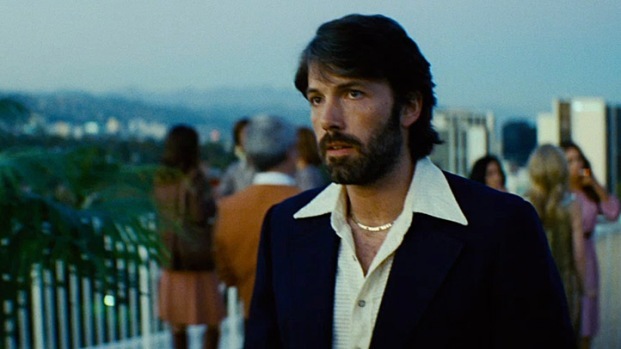 Affleck directed this film, which portrays the rescue of six U.S. diplomats during the 1979 Iran hostage crisis. "She truly is kind," he says. "She means no one any harm. She doesn't have ill will for any person. She's not competitive with other people. She's not spiteful," he shares with pride before adding, "It's one of those things where it becomes almost aggravating at times. Every time I go, 'F-- him!' I see in her face that she just thinks that's petty and small." Ben and Jen share a red carpet kiss! "We don't have the kind of relationship where she relies on me for advice," he says of J.Lo, "but we do have the kind of relationship where there'll be an e-mail saying, 'Oh, your movie looks great.' I remember when she got "American Idol." I said: 'This was really smart. Good luck.' I touch base. I respect her. I like her. She's put up with some stuff that was unfair in her life, and I'm really pleased to see her successful." 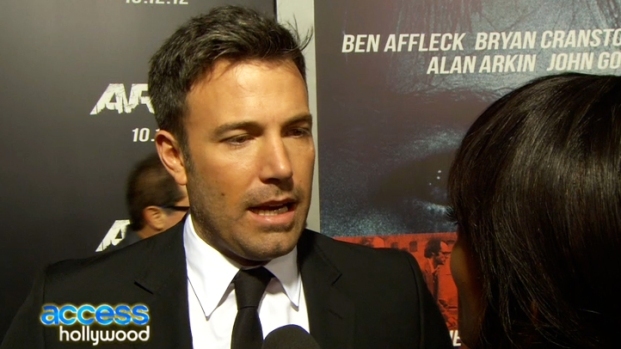 "It was not fun for me," says Affleck of the milestone age. "It's this moment of bifurcation between youth and middle age. One wants to think of oneself as young. One does not want to think, "Wait a minute! How can I be halfway to death?'" "[Matt and I] see each other almost too often," Affleck admits of his friendship with Damon. "I wonder if his wife is thinking, 'Is he really going to come over every night?'" Aww, talk about one of the coolest Hollywood hunks in the biz! 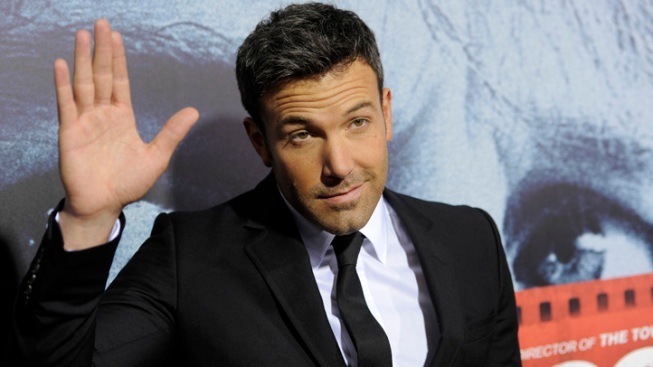 We're officially Ben Affleck lovers for life. Ben and Jen aren't the only ones...see more famous families!